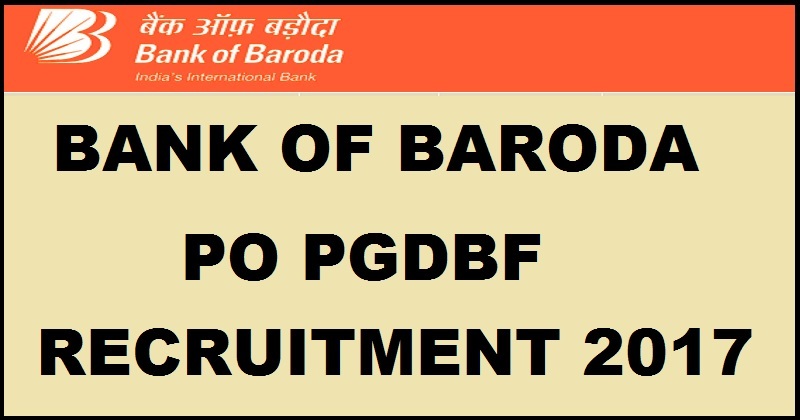 Bank of Baroda has released notification for the recruitment of Probationary Officers (PO) through Post Graduate Diploma in Banking and finance. There are about 400 vacant positions for which the recruitment is announced. Candidates who are looking for the jobs can apply for the recruitment from the direct link provided below by checking the eligibility criteria, application fee and other details from the article. Bank of Baroda is an Indian state-owned international banking and financial services. The company headquarters are located at Vadodara in Gujarat, India. Bank of Baroda is the second largest in India which prior next to State Bank of India. The Bank is ranked 801 on Forbes Global 2000 list based on 2014 data. It releases notification for the recruitment of eligible candidates in various departments. This year it has released notification for the Probationary Officer Posts. Among 400 vacant positions 202 vacant posts are for unreserved, 108 posts are for OBC candidates, 60 posts for SC, 30 posts for ST. Go through the instructions given in the notification and keep everything ready. Below there are eligibility criteria for the recruitment, if you meet the criteria proceed further to apply online. The candidates should have a degree from a recognized university or Institute with a minimum of 55% of marks. For SC/ ST/ PWD candidates it is 50%. The candidates who are interested must have an age limit between 20 years and 28 years as on 1st April 2017 for all the regular candidates. If the candidates belong to SC/ST the age relaxation is given as 05 years, 3 years for OBC and 10 years for PWD candidates. Applicants required to pay Rs. 100/- for SC/ ST/ PWD candidates and Rs. 750/- for all others through Online Payment (Credit Card, Debit Card & Net banking) or through online by using the Debit card or Credit card. The candidates should first attend the written exam. It is purely performance base recruitment which follows written exam, psychometric assessment, group discussion and finally interview. 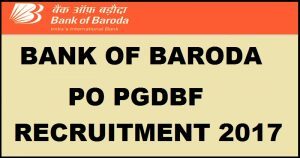 How to Apply For Bank of Baroda PO PGDBF Recruitment 2017? Click on BOB PO recruitment 2017. Stay tuned to this page for more details about the Bank of Baroda PO Recruitment 2017. Press CTRL+D to bookmark this page for more exciting updates.